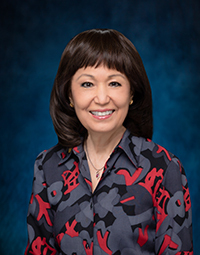 The purview of this committee includes those programs relating to the University of Hawai‘i, the community college system, private higher education bond financing, and other education matters relevant to higher education, but excluding the Hawaii P-20 Initiative. RELATING TO THE BOARD OF REGENTS. RELATING TO FINANCES AT THE UNIVERSITY OF HAWAII. RELATING TO THE UNIFORM EMPLOYEE AND STUDENT ONLINE PRIVACY PROTECTION ACT. RELATING TO THE PRESIDENT OF THE UNIVERSITY OF HAWAII. RELATING TO THE UNIVERSITY OF HAWAII BUDGET. RELATING TO THE UNIVERSITY OF HAWAII PROMISE PROGRAM PLUS. RELATING TO THE UNIVERSITY OF HAWAII TUITION AND FEES SPECIAL FUND. RELATING TO PROCUREMENT FOR THE UNIVERSITY OF HAWAII. RELATING TO THE WAIKIKI AQUARIUM. RELATING TO LOAN REPAYMENT FOR HEALTH CARE PROFESSIONALS. RELATING TO MEDICAL RESIDENCY PROGRAMS. RELATING TO HEALTH CARE PEER REVIEW. RELATING TO POSTGRADUATE RESIDENT PHYSICIANS AND FELLOWS. RELATING TO THE JOHN A. BURNS SCHOOL OF MEDICINE. RELATING TO THE HAWAIIAN LANGUAGE COLLEGE. RELATING TO NATURAL RESOURCE MANAGEMENT. RELATING TO UNIVERSITY OF HAWAII DEVELOPMENTS. RELATING TO CAPITAL IMPROVEMENT PROJECTS FOR THE WAHIAWA PUBLIC LIBRARY. RELATING TO THE UNIVERSITY OF HAWAII COMMUNITY COLLEGES. RELATING TO THE UNIVERSITY OF HAWAII PROMISE PROGRAM. RELATING TO THE OFFICE OF MAUNA KEA MANAGEMENT. URGING STATE AND COUNTY AGENCIES AND THE UNIVERSITY OF HAWAII SYSTEM TO IMPLEMENT FLEXIBLE WORK SCHEDULES THROUGH STAGGERED WORK HOURS FOR THEIR EMPLOYEES TO EASE TRAFFIC CONGESTION. REQUESTING THE DEPARTMENT OF HEALTH, UNIVERSITY OF HAWAII, AND OTHER RELEVANT STATE AGENCIES TO CONDUCT A STATEWIDE DNA STUDY TO DETERMINE WHETHER RESIDENTS OF THE STATE WITH THE GENETIC VARIANT RS12252-C MAY BE AT A HEIGHTENED RISK OF INFLUENZA. REQUESTING THE WILLIAM S. RICHARDSON SCHOOL OF LAW TO CONVENE A TASK FORCE TO STUDY AND REPORT ON A LOAN FORGIVENESS PROGRAM FOR LAW STUDENTS TO PROVIDE INCENTIVES FOR LEGAL ASSISTANCE IN RURAL COMMUNITIES IN HAWAII. 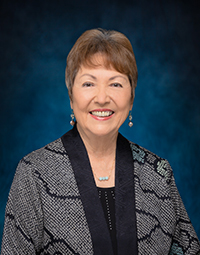 REQUESTING THE UNIVERSITY OF HAWAII BOARD OF REGENTS TO CONTINUE TO SUPPORT AND FUND THE INDUSTRIAL RELATIONS CENTER AS A VALUABLE LABOR-MANAGEMENT RELATIONS RESOURCE FOR THE PUBLIC AND PRIVATE SECTORS. URGING THE UNIVERSITY OF HAWAII TO INCORPORATE AS PART OF ITS 2015-25 UH MANOA STRATEGIC PLAN THE ASSOCIATION OF AMERICAN UNIVERSITIES MEMBERSHIP PHASE I AND II INDICATORS, AS APPROPRIATE, AS A MEANS TO ESTABLISH GOALS AND METRICS FOR THE UNIVERSITY'S CONTINUED PURSUIT TO BE AMONGST THE MOST PRESTIGIOUS RESEARCH INSTITUTIONS IN THE NATION. URGING THE UNIVERSITY OF HAWAII TO SUPPORT THE ESTABLISHMENT OF A COLLECTIVE BARGAINING UNIT FOR GRADUATE STUDENT ASSISTANTS EMPLOYED AT THE UNIVERSITY.